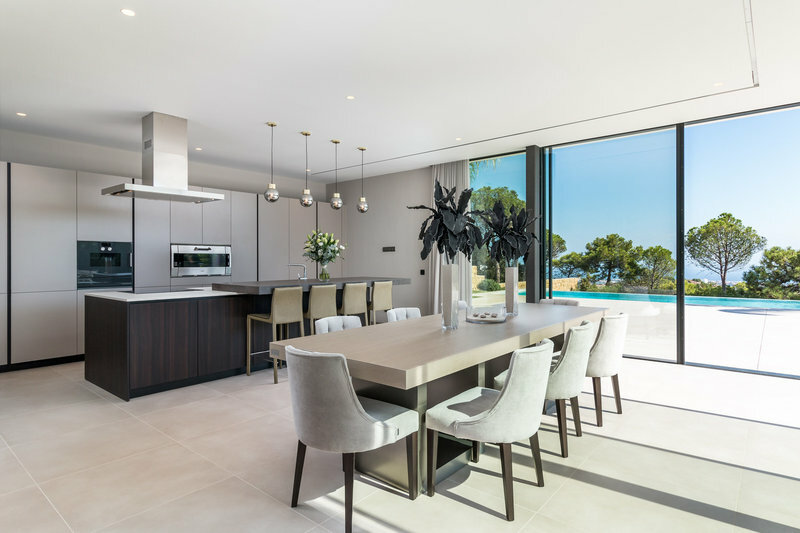 Exclusive villa located in the most sought-after location within the exclusive urbanisation of El Madroñal offering breathtaking views whilst still being close to the entrance of the development. 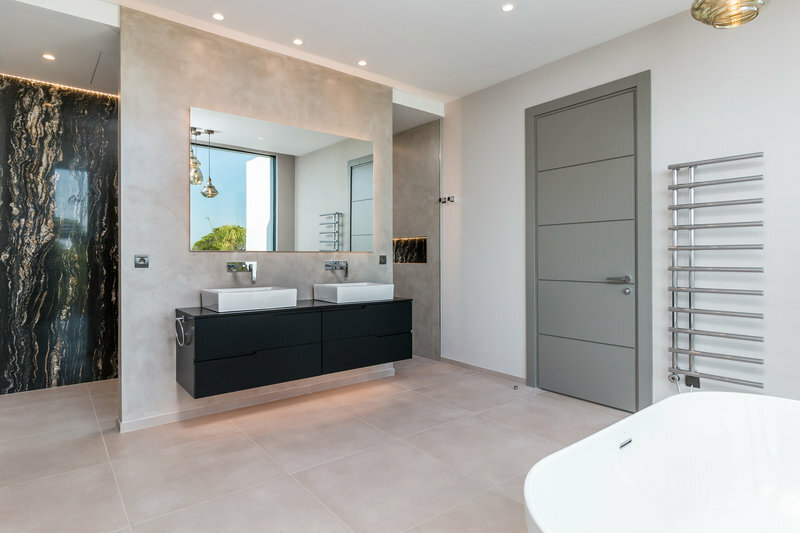 Winner of Best Single Residence at last year's International Property Awards, achieving the highest possible accolade, this recently completed project is an exceptional property, both for its enviable location and superb design and finish. 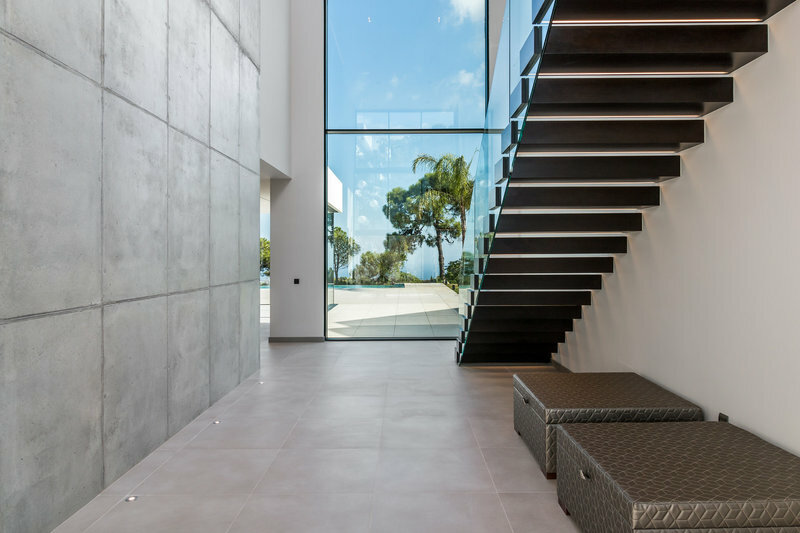 Contemporary, cool and elegant in an unparalleled location, this villa is as unique as it is stylish. 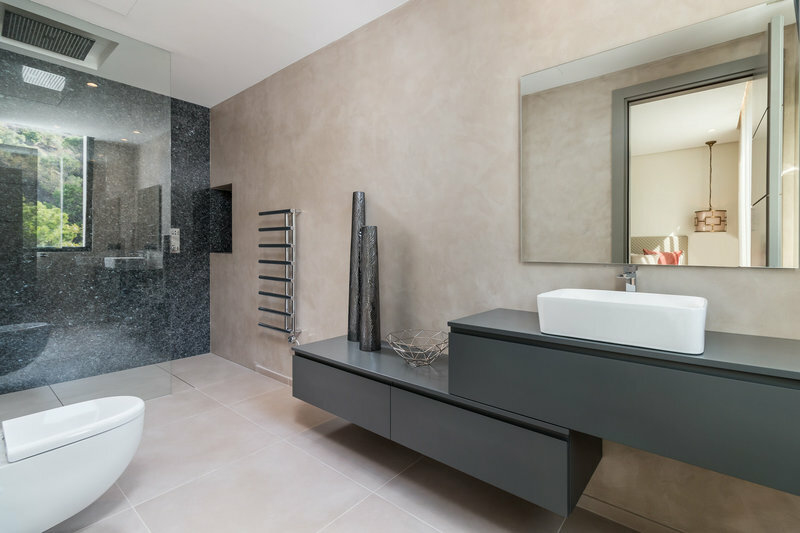 This property has truly been designed to create a lifestyle as well as a home. 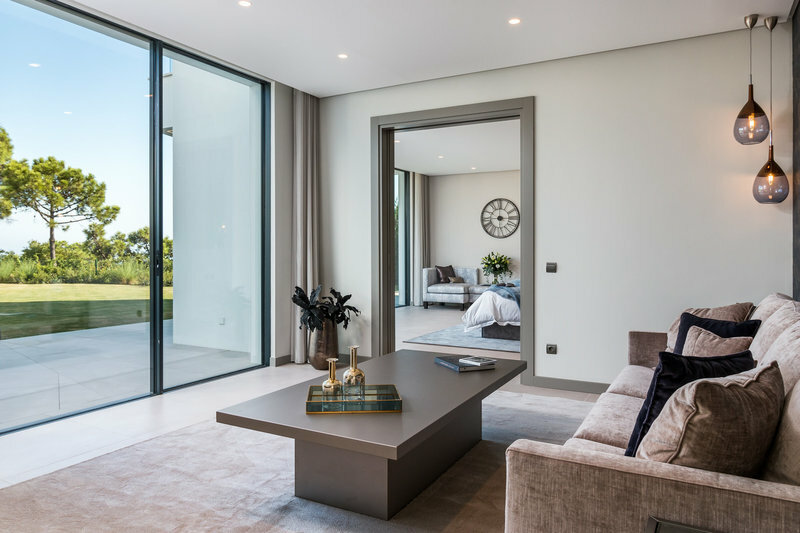 The open-plan layout and generous proportions of this cutting-edge contemporary villa give it a bright and spacious feel, whilst the use of glass affords an abundance of natural light to maximise the bright and airy sense of space. 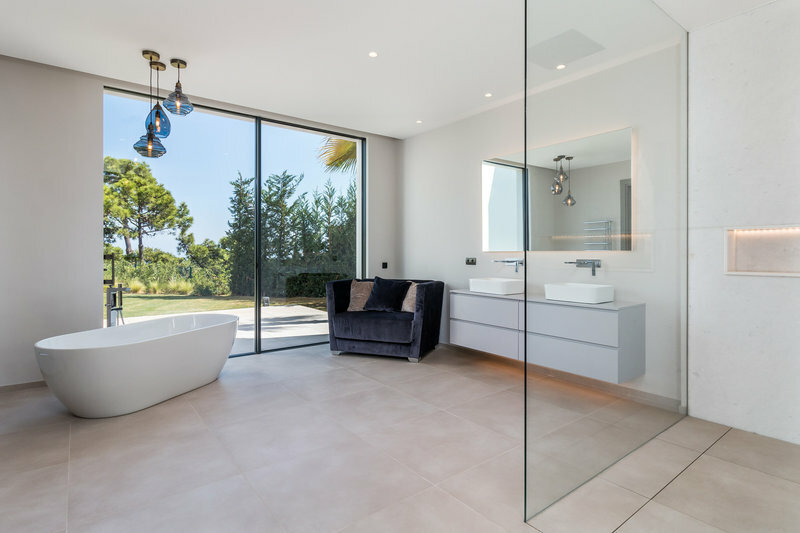 Schuco 'Panoramic Design' windows are recessed into the walls to offer extremely low profiles in floor to ceiling formats, and the seven-metre salon window is motorised. 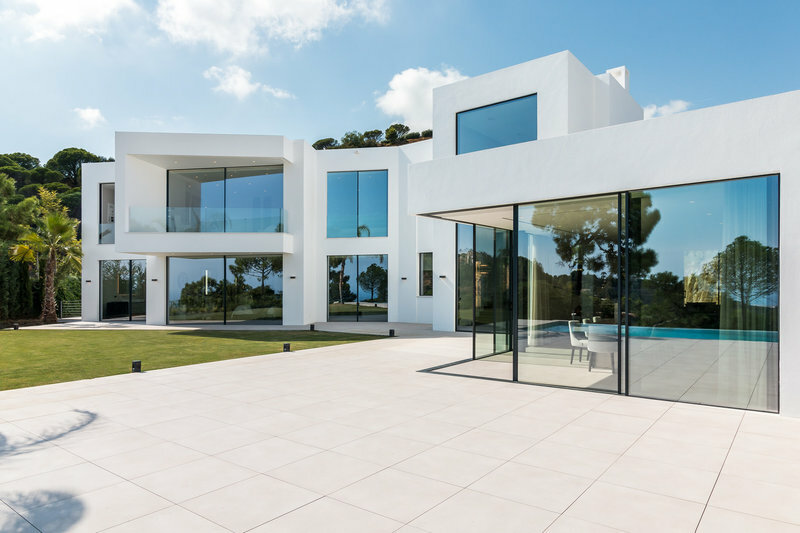 Solar control glass is used throughout to prevent the villa from ever becoming too hot during the Andalusian summers, and all windows comply to the highest energy efficiency rating. 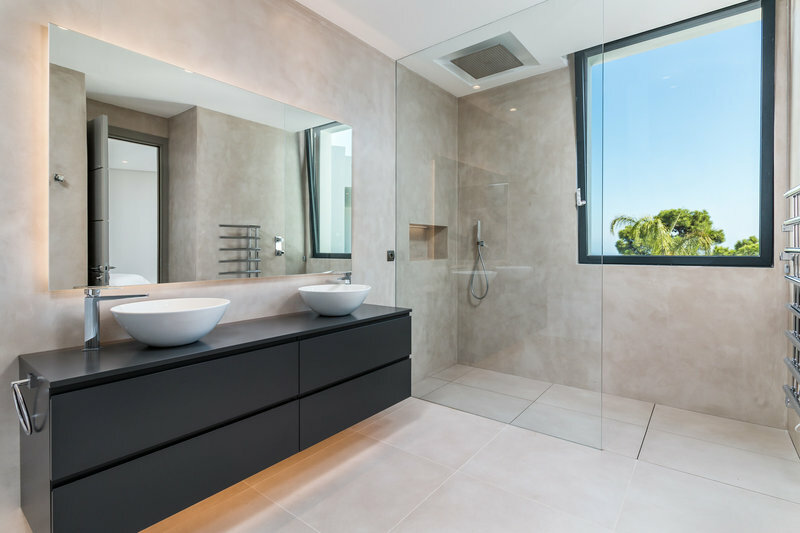 The heating and cooling system are the most sophisticated and efficient on the market, utilising air-source heat pumps to heat the water. 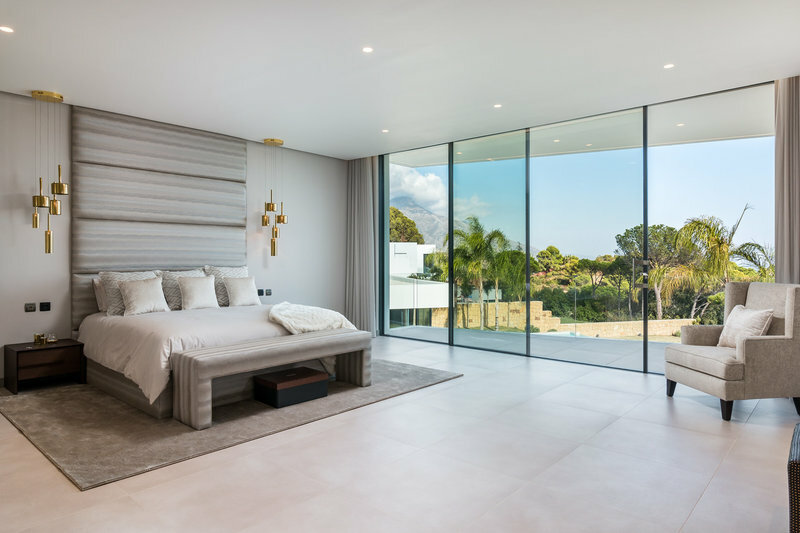 This innovative system is usually used in commercial properties, but thee it has been combined with one of the most energy efficient build systems available, offering up to three times the acoustic and thermal insulation of a conventional build. This amounts to savings of up to 70% compared to a comparable sized property. 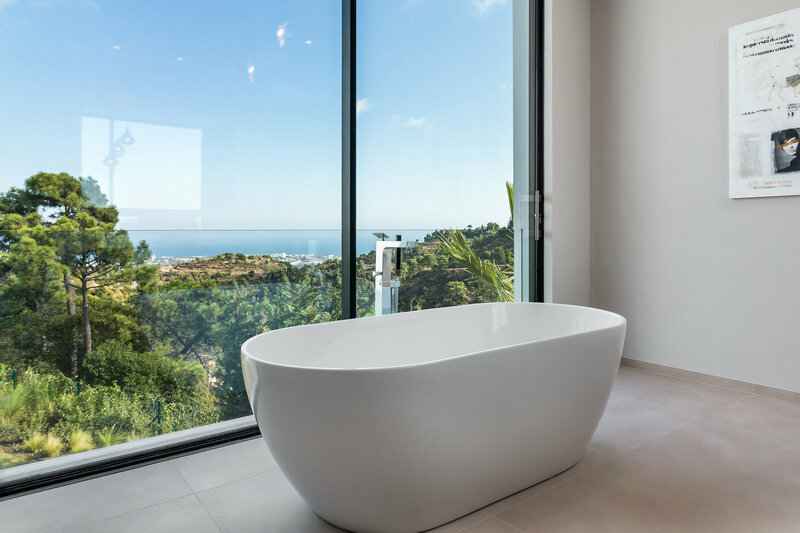 Every design feature has been exceptionally thought out and the finest materials and brands have been chosen from the Fantini faucets in the master bathroom to the Gaggenau appliances and the LED under-counter lighting in the Italian Varenna kitchen. 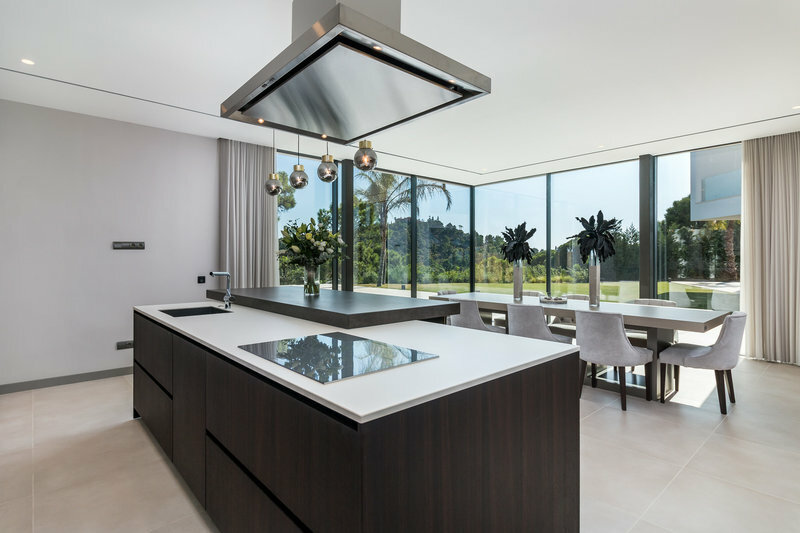 The most modern and exclusive technology has also been fitted in this villa. The lightning has been designed by Delta Light and is controlled in the main social areas and exterior through te Control 4 domotic system. 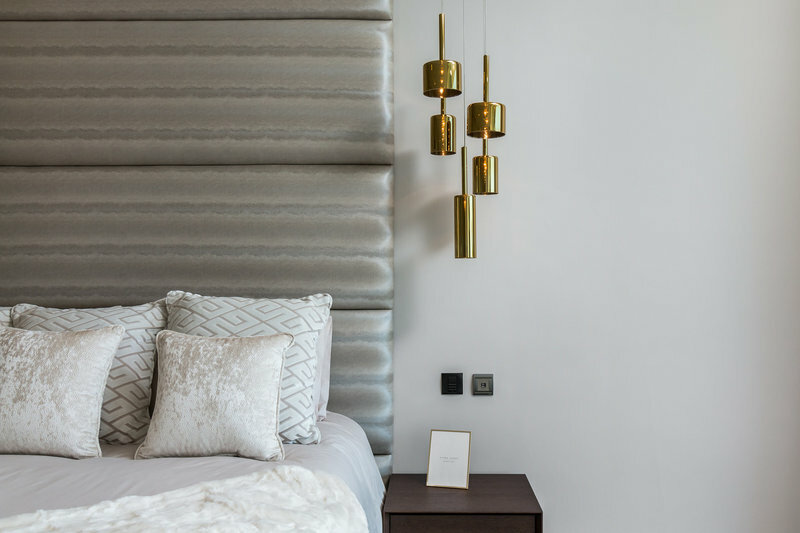 Every room has a 7 or 10 inch touch panel to control, allowing access to the lighting and heating controls, as well as many other exciting features from music to television. 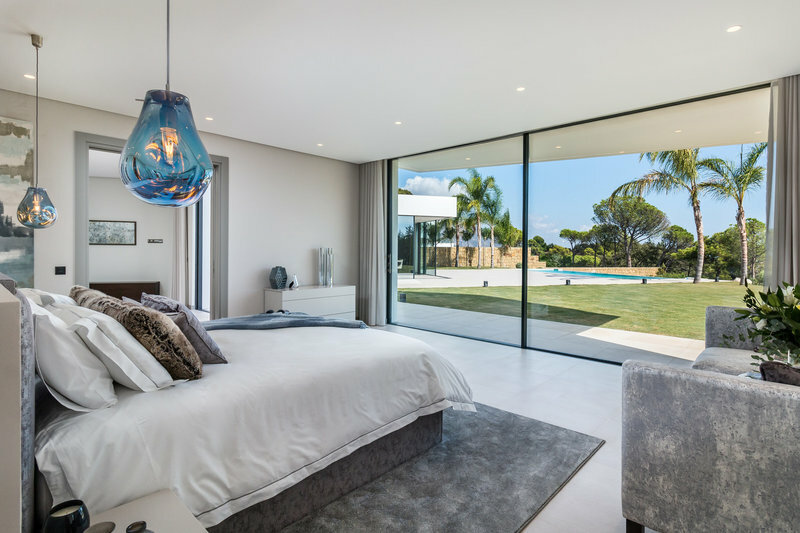 The latest design and technology continues outside, where the 11-metre swimming pool is a saline salt water pool with pre-installation for a heat pump and recessed cover. 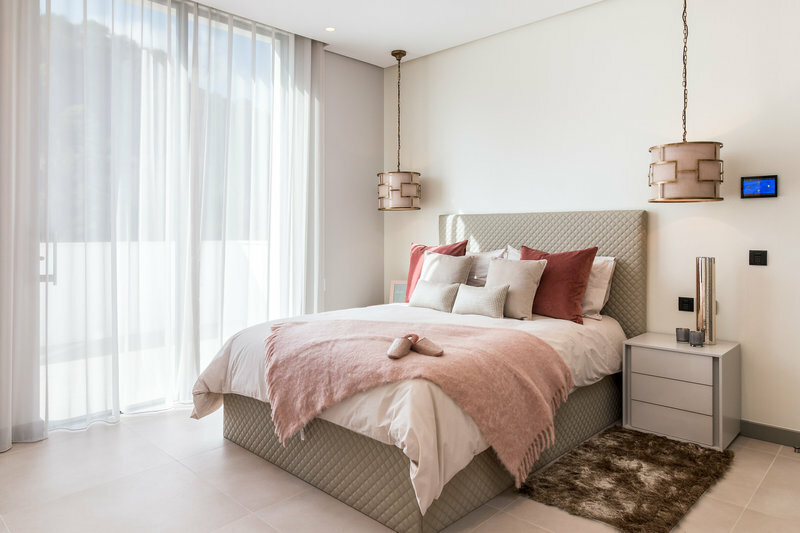 Separate to main house is a one-bedroom apartment which could be used as a guest apartment, gym, office or staff quarters. 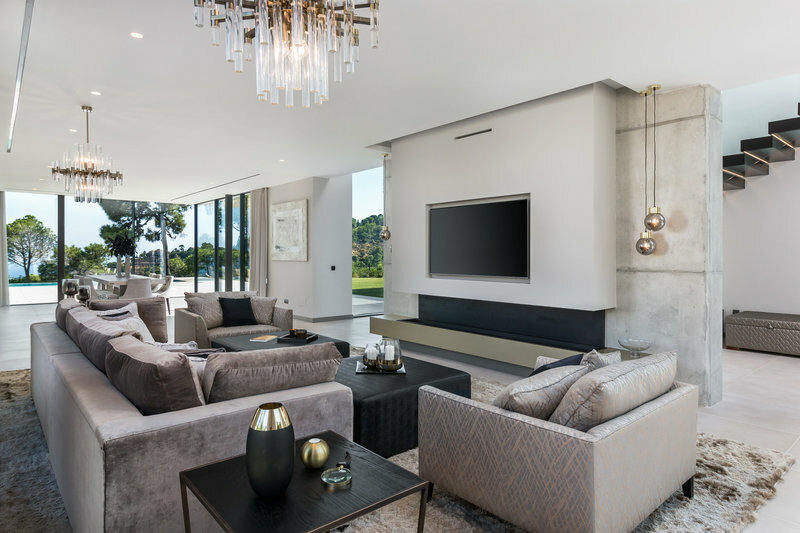 These additional living quarters are a fantastic bonus to the immaculately designed property, and below the apartment is a two-car garage. 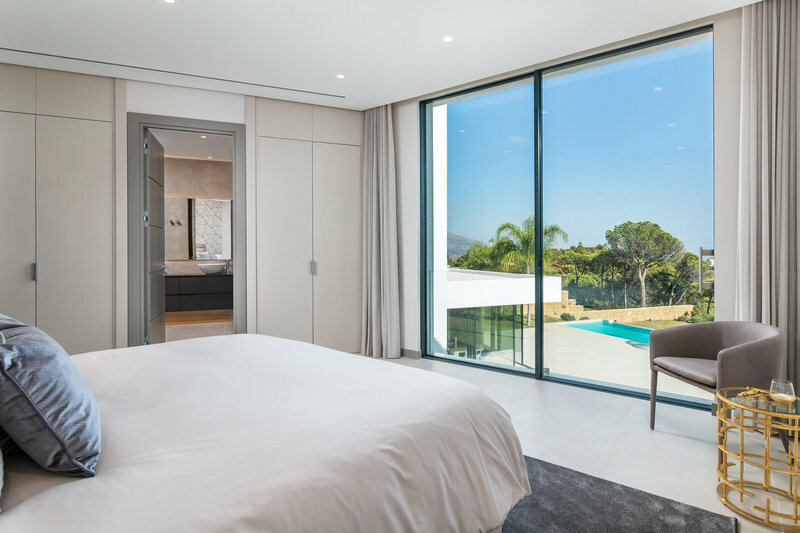 The villa is accessed via a private road that only serves this property and one other, offering exclusivity as well as security. 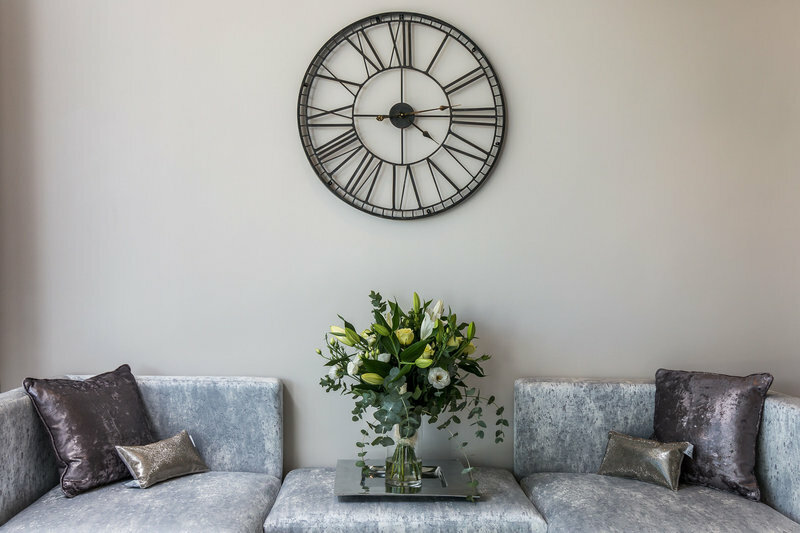 The views are undeniably beautiful, and the stunning countryside surroundings offer secluded and private retreat in nature, whilst the villa affords all the latest technology and finest design features.